The In Phase range of Headunits offer a full range of features at a very competitive price. The units have been engineered to offer a great sound straight from the box but also allow you to fine tune the unit to your choice. This connects me & my Mini to Spotify and Waze which is what I was looking for. It has a locatable microphone - more than I wanted and a remote control! I cannot get the tracks to list as on my last system and as it uses its own ringtones, it does take some getting used to. Great blue illumination - matches car! and full of tricks I have yet to discover. Well worth the money. Fitted perfectly in to a Yaris' 02 coin box :) Excellent stereo, the external microphone is amazing too. Does this fit my van ND52 reg? Hi will this for my VW golf 2008? The IPS-249BT can be installed in your VW Golf.You will need the following accessories for installation. Will this fit on my car. Do I need extra cables. Hi. Would this stereo fit my fiat punto go, 02 plate? Cheers. Will it fit a 2012 kia picanto. What accessories would I need to buy with the InPhase IPS-249BT Bluetooth car stereo system for it to fit in a Matiz? You will need the below listed harness adapter for installation. My car is 1993 Rover 220 Coupe which is NOT listed in your list of models. It has 2 wiring connectors, 8 pin for 4 speakers, and 5 pin for the power,earth etc and an aerial socket. Can I connect? The IPS-249BT can be installed in your Seat Leon. You will need the following accessories for installation. 1972 ford Cortina based kitcar very basic wiring loom will I be able to fit? yes it shouldn't be a problem based on that you are installing a wiring loom for the radio and speakers. 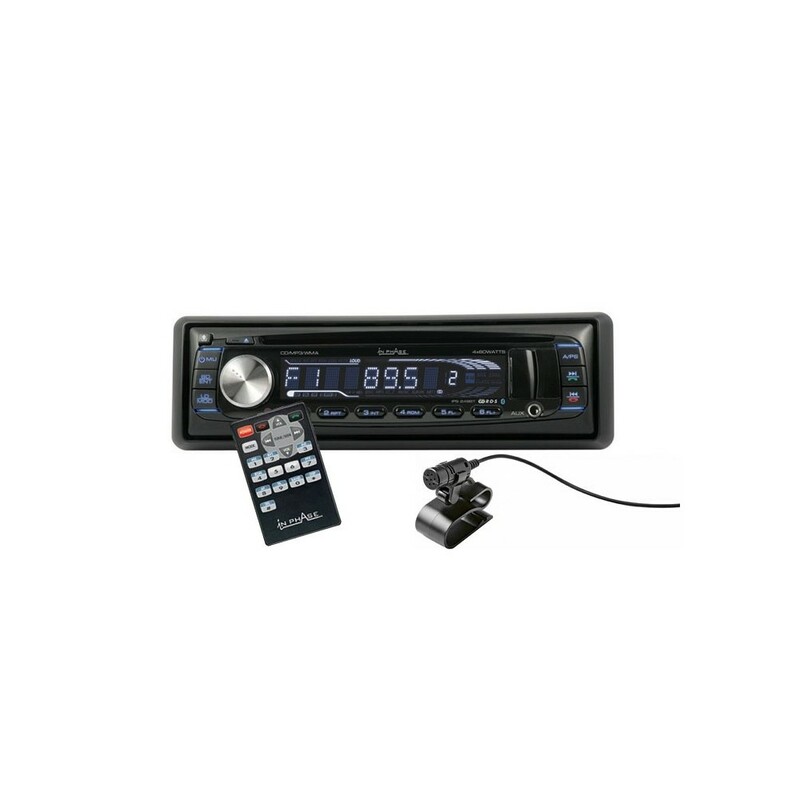 Hi will this radio fit my Renault Clio 2004? The IPS-249BT can be installed in your Renault Clio. You will need the below listed aerial adapter for installation. Hi, would this radio fit into an Isuzu Rodeo Denver '06? The IPS-249BT can be installed in your Isuzu. You will need the below listed harness adapter for installation. Will this fit straight into this model of car or will I need adapters? The IPS-249BT has one preout to add an amplifier to it.